I usually go the route of the total package deal with one landscaping contractor. 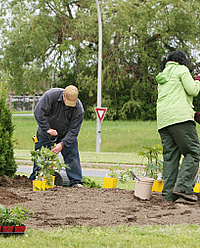 He does all ground preparation, buys and plants all trees, shrubs, bedding plants, and sod. It’s the fastest and simplest way to get the job done. And other than doing it all yourself, it can be the cheapest. 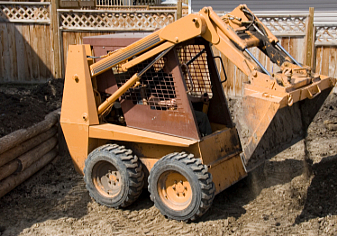 I hire one landscaper to do the rough-grade with fill dirt and topsoil as needed. The landscaper purchases the dirt and hauls it to jobsite. It’s ok if your contract specifies an amount to be charged per load of dirt, rather than a fixed price for total dirt work. He also does the final grade, as shown here. 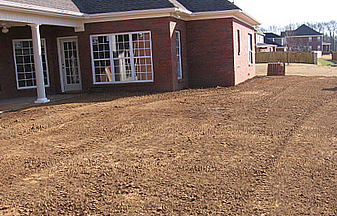 This yard is ready for sod and planting. Note that the yard slopes away from the house, with no low spots where rainfall can accumulate.